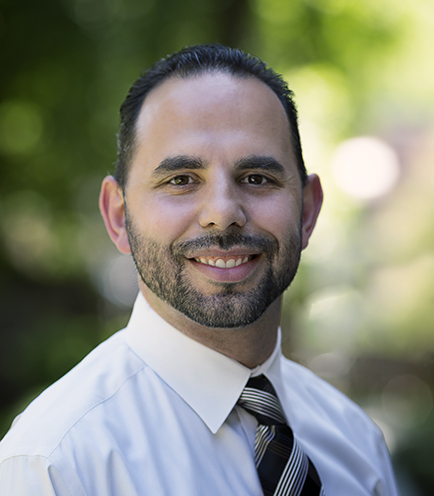 The Highlands is privileged to have a professional at its helm with the likeable demeanor and depth of experience Paul Araujo brings to our residents and his talented Highlands team. His career in senior care now spans nearly two decades in a variety of highly responsible management positions with HallKeen and other respected senior living companies. Each day, Paul brings his vast knowledge, his commitment, and his creative spirit to improve the lives of residents here at The Highlands. 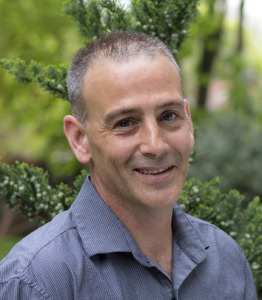 Now in his fifth year with HallKeen, Paul previously served as Executive Director of the firm’s Corcoran House Assisted Living community in Clinton, MA. Under his direction, that community distinguished itself with a record of deficiency free inspections and other achievements that earned Paul the recognition of his peers for performance and leadership. Since arriving at HallKeen, he has been the recipient of the company’s True Leader, Top Performer Community, and Rookie of the Year awards. A proven leader, he is dedicated to enriching the lives of our residents every day and in every way. Paul is also a family man. He and his wife, Bela, are the parents of three children, Claudia, Tiago and Lucas. He resides in Cumberland, RI, and takes great pride in being a dad in every sense of the word. In his free time, Paul loves to spend quality time with his family and friends enjoying great food. Karen brings a youthful vitality and enthusiasm, along with maturity and a dedicated sense of purpose, to her position as Director of Community Relations. Born and raised in Smithfield, RI, she is a 1994 graduate of Smithfield High School. She earned her degree in Health Administration from Quinnipiac University in 1998. An avid gardener and mother of two active sons, whenever she’s not assisting families with the important details and considerations of quality senior living, she can be found offering landscaping advice to homeowners and businesses at the garden center her husband, Brian, operates near their Smithfield home. 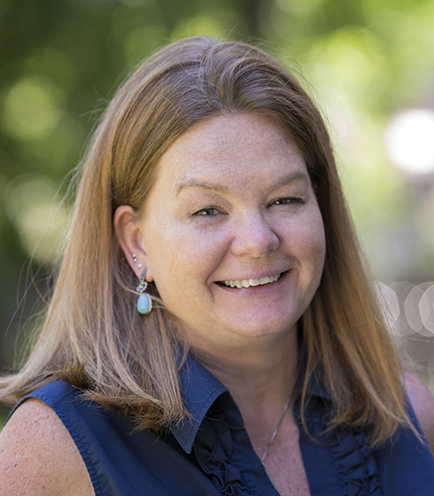 With certifications as a Dementia Practitioner, an Arthritis Foundation Trainer, and a Support Group Leader, MaryEllen brings an incredible wealth of formal training, practical experience, and professional qualifications to her position here at The Highlands. 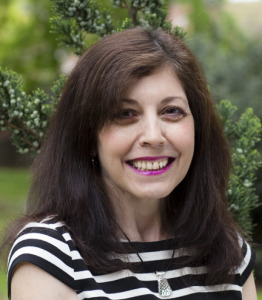 Born and raised in Rye, New York (which explains her passions for all things Yankees and Giants), she applied Psychology and Sociology majors at Iona College and Pine Manor College to a 25-year career in Early Childhood Education, including a position as Director of a private Kindergarten. 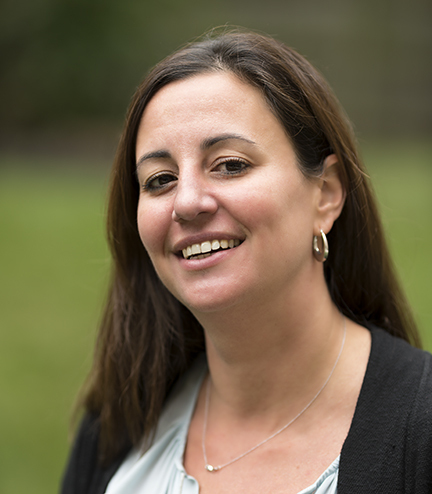 MaryEllen moved to RI from Bridgeport, CT, in 2008 and began her work in the senior living field. She is married with two children, a grandson, and a “love for cooking, gardening and spending time with my family and friends.” Living in a beach community also makes it easy for MaryEllen and husband to enjoy kayaking and bike riding. Like most of our staff, Paula Broccoli brings a cheerful personality and an interesting background to her position here at The Highlands. Paula holds degrees in both Retail Management and Fashion Merchandising. She has been a Business Office Manager in the assisted living industry for nearly a decade now, transitioning from careers with both the Diocese of Providence and a large local manufacturer. A single mother of three boys, Paula credits her own mother as a source of strength and the person who instilled in her a dedicated work ethic. Paula celebrates her Italian heritage and enjoys passing on to her own children the traditional Italian customs centered around food, faith and family. 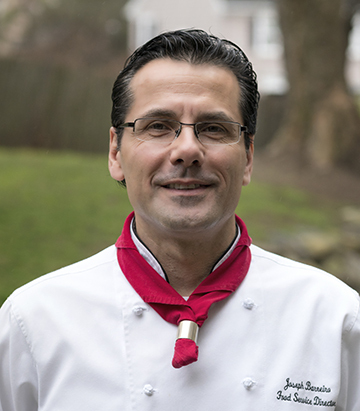 Chef Barreiro comes to The Highlands with an impressive resume that includes tours as a head chef, kitchen supervisor, and food service director at some of southern New England’s most well respected dining and food service establishments. These include more than 15 years creating delicious menus and enhancing the resident dining experience at several assisted living communities in the region. Joe’s skills and creativity as a chef are eclipsed only by the work ethic and integrity he brings to his position. His vast experience and organizational skills are evidenced in the numerous charitable fundraising events he has participated in and the various cooking competitions he has won, including winner of the Iron Chef title in Kentucky in 2008. A former semi-pro soccer player and premier club coach, Joe still plays the game competitively. We, too, are proud and privileged to have him as a member of our team. Ernie was born and raised in Pawtucket, RI. He was influenced at a very young age to respect his elders and admire their accomplishments. His beloved grandfather was diagnosed with Alzheimer’s disease when he was eight, so Ernie feels especially close to the mission here at The Highlands. He has fond memories of visiting his grandfather on weekends, first at home and, eventually, in a nursing home. Like his father and father before him, Ernie is a hands-on, can-do kind of man. Ernie can fix just about anything and enjoys doing so! Ernie worked in the maintenance department for HallKeen Management for over four years when he jumped at the opportunity to transfer to The Highlands. His skills, knowledge and dedication to our residents are invaluable. If your television remote is not working, Ernie will fix it. If you need a picture hung, Ernie will hang it. In short, he can do it all and is happy to do it. Aside from his dedication to our mission and our residents, Ernie is a happily-married man of 21 years and the father of two – ages 2 and 20.